The consumer owed $20,000 in principle under his mortgage. Following his injury, his insurer covered his monthly mortgages under the credit insurance he purchased when he took out his mortgage. This insurance provided that, in the event of disability, the insurer would pay 150% of all mortgage related expenses. This meant that in addition to covering 100% of the monthly mortgage payments, Mr. S. received an additional 50% for other mortage related costs such as home insurance, realty taxes, etc. Monthly premiums on Mr. S.’s credit insurance were also waived. After 12 months, however, the insurer stopped all payments and Mr. S. was charged his monthly credit insurance premiums. Mr. S. approached OLHI seeking to have his mortgage paid off in full. He believed this was appropriate because he was certified as being “totally disabled” by the RRQ in 2008. His medical condition had not improved since that date and he thought he was unable to work at any occupation. Our DRO explained that it was typical that disability benefits would be paid for an initial period (in this case 12 months) based on inability to perform one’s own occupation. However, after that period, Mr. S. would need to demonstrate that he was unable to perform any occupation for the benefits to continue. She further explained that the RRQ’s determination that he was totally disabled did not necessarily prove that he was “unable to perform any occupation,” the standard for receiving benefits under the policy. The DRO advised Mr. S. that before accessing OLHI’s complaint process, he would first have to complete the insurer’s internal complaints process. She suggested he write the insurer and formally ask for a review of his file, including all the facts he had shared with OLHI. Approximately a month later, Mr. S. called OLHI again and advised he had received a call from the insurer offering to pay off a portion of the mortgage debt. He did not understand on what basis the amount was offered or whether the insurer had accepted his disability. Our DRO suggested Mr. S. submit his outstanding questions to the insurer and consider making a counter-offer. Several months later, Mr. S. called our DRO to update her on the matter. He reported that over the preceeding months he and the insurer had a series of discussions. Several offers and counter offers were made on both sides. Eventually, his complaint was escalated through the insurer’s internal complaint process to its Ombudsman. 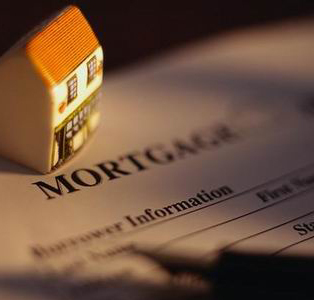 In the end, the insurer agreed to pay the consumer’s $20,000 mortgage in full. In exchange, Mr. S. agreed to waive his entitlement to payment of the additional 50% benefits under the contract and to forgo reimbursement of the credit insurance premiums. Mr. S. was pleased that he no longer had to worry about making his mortgage payments, given his age and inability to work, and thanked our DRO for her assistance in explaining how to proceed through the insurer’s complaint process. This entry was posted in Case Study and tagged credit insurance, creditor, disability, mortgage. Bookmark the permalink.